The 2018 May/June senior Secondary School Examination which Started on March 27th, 2018 and ended on May 15, 2018. After the last paper of the West African Examination Council, the examination board went into a deep and serious work in other to make sure that the result of the candidates is released and on time. 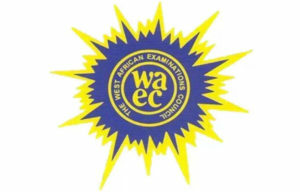 And to that effect the West African Examination Council, WAEC has released the result of 2018 Senior Secondary Certificate Examination (SSCE). Mr. Damianus Ojijeogu, the head of Council of the Public Affairs, announced on Tuesday evening on some social media like the Twitter that the 2018 May/June WASSCE results will be released on Wednesday afternoon. Below is his tweet. Below are listed the data’s you must have in place before you can be able to check your Waec Result 2018. Examination number: the candidate must have his or her examination number with her and make sure it is correct. Which is ten digits number which comprises of 7 digits which is the center number and the three digits which is the candidate number? Examination Year: Some candidates do make the mistake of wrong selection of the year. When a student that wrote the examination in 2018 mistakenly select 2017 and enter other data’s the result will not come out because of wrong data. Card Serial Number: Now you have to purchase the WEAC scratch card which is not so costly and on this box, you check at the back of your card you will see the serial number written on it type in the serial number correctly, Don’t make Mistake because any mistake made will affect the data. Card Personal Identification Number (PIN): this pin is on the scratch card you have already purchased, type incorrectly from the card to avoid making mistakes. Note that the scratch card it only valid after using it five times in other-other wards you can only use it for one Examination Number you cannot use one examination scratch card to check the Waec Result 2018 and once you have used it up to 5 times it is now invalid. Wish you good luck and remember to use our comment box to share your testimonies.